Y'all we've had a massive heatwave hit Portland the past few days! I'm talking 102° all weekend and into this week. I wasn't quite ready to break out the shorts, but was glad I snagged this summery pair from work. They're the perfect length and I love the colors. They're also super soft and comfortable. 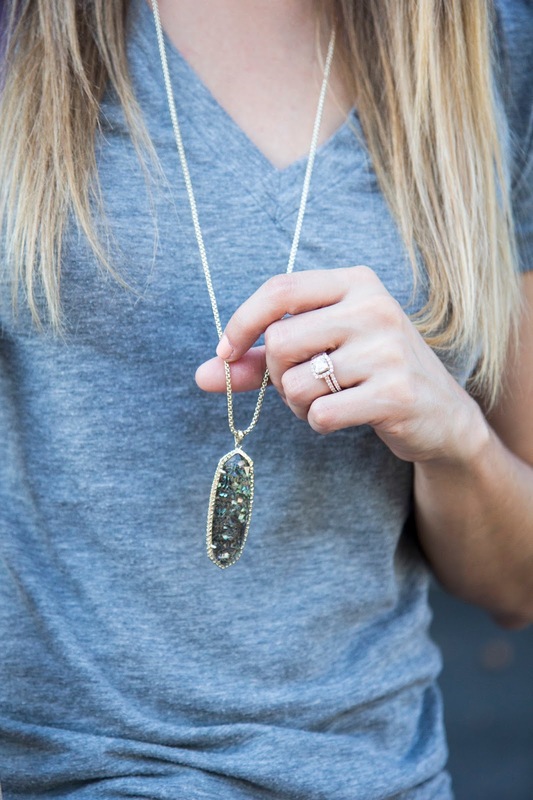 I'm also loving this Kendra Scott Layden Necklace that's made out of crushed abalone. It adds just the right amount of sparkle to any outfit. Like my Westward Leaning sunglasses? Don't forget that you can get your own for FREE from DITTO.com and use the code TORILESIKAR when you register!